Did you know that June 21 is National Indigenous Peoples Day? This is the perfect day to celebrate Indigenous culture by either participating in activities in your community or by planning your own event. Check out the activities in the JPRM Toolbox for ways to include Indigenous activities in your events or programs. National Aboriginal Day was proclaimed in 1996 by former Governor General Roméo A. LeBlanc. On June 21, 2017, Prime Minister Justin Trudeau announced the intention to rename National Aboriginal Dayto National Indigenous Peoples Day. The day is part of the annual nationwide ‘Celebrate Canada’ period with celebrations centering around National Aboriginal Day, but continuing through St-Jean Baptiste Day, Canadian Multiculturalism Day and concluding with Canada Day. Download the ARPA Event App to build your itinerary, connect with other delegates, access venue maps, and receive real-time conference updates and announcements! The ARPA Event App syncs across all your mobile devices, creating a seamless event experience. Click here to fill out the form to have access to our FREE toolbox we created to help you be successful in taking part and in promoting JRPM within your community. 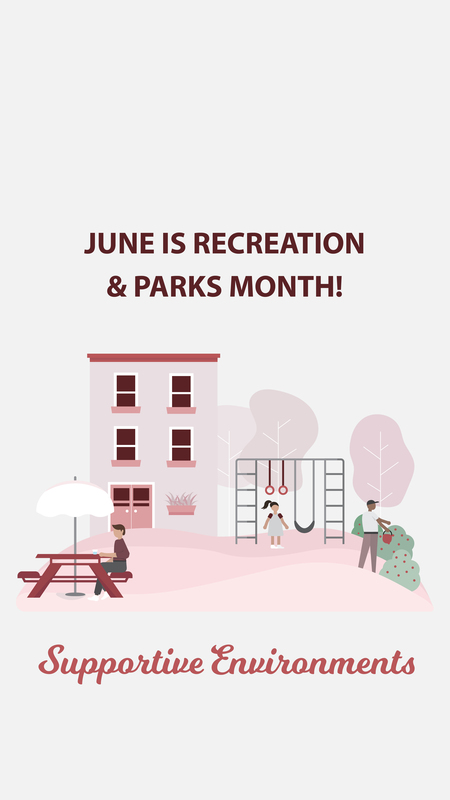 What is “June is Recreation and Parks Month”? 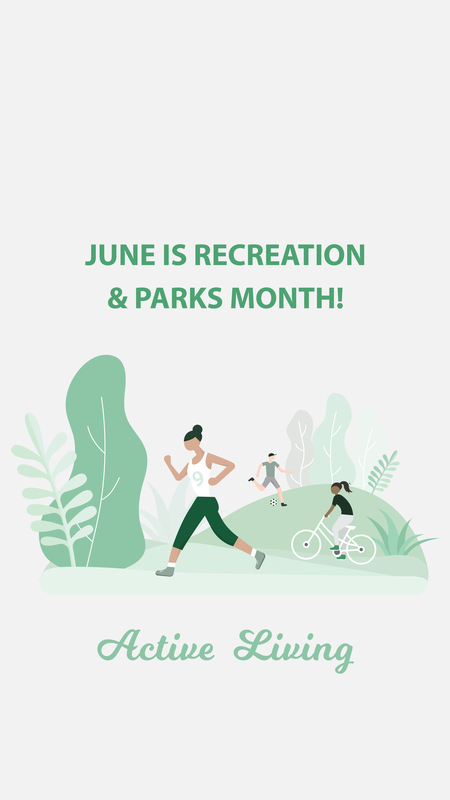 At the Alberta Recreation and Parks Association (ARPA), we recognize the month of June as “June is Recreation and Parks Month” (JRPM). JRPM highlights the many benefits recreation and parks bring to our community and acknowledge the strong foundation of parks and recreation facilities and programs in Alberta. Celebrating JRPM draws attention to the many benefits of recreation and parks for individual Albertans, communities and the province. Our long-term vision is to make JRPM a household name, so that when June rolls around, Albertans are eager and excited to spend the month (and beyond) enjoying all the recreation activities and parks facilities they have at their disposal. JRPM is all about helping people celebrate the outdoors by getting outside and exploring recreation with their family, friends, school, community, and more! Does this sound like something you could get behind? We encourage individuals, families, municipalities, organizations, businesses, and schools to support this initiative by becoming an ambassador or champion to promote JRPM by filling out this form to access the toolbox! If you sign up as an ambassador/champion before May 15th 2019, you can receive a limited supply of 3"x3" JRPM Logo stickers while supplies last. You can promote JRPM through already-established events and programs in your community, as well as use the toolkit to support your ideas. Use the hashtag #JRPM in a photo of you, your school, municipality, workplace, or group doing a June is Recreation and Parks Month activity! Ensure your account is public so we can see and it doesn’t get missed. Stay tuned for the prizes that will be given away. Check in with our ARPA social media platforms (Twitter, Facebook, and Instagram) to see all of the #JRPM activities being done this month and all year round! If you have further questions, comments, or suggestions please contact us at JRPM@arpaonline.ca. The Parks and Sport Fields Level 2 is a two day course that will enable the participants to be involved with hands on and in class components. Some of the key areas that will be covered are Plant Beds, Soil Tests, Dealing with Weed Control, Turf Diseases, Pruning, Composting, and Irrigation. Vandalism and skate board parks are also hot items in the communities and will also be looked at in detail. The course is geared to all staff or management involved with outdoor facilities. Min 10- Max 20 people, cost $425 per person. Register Today! The Parks & Sport Fields Operator Level 2 course is part of the Red Deer College (RDC) and Alberta Association Recreation Facility Personnel (AARFP) Recreation Facility Management Certification program designed to enhance leadership opportunities for recreation facility operators through the combination of technical and management training. Download the full program here! APRA is including The Canadian Playground Safety Institute’s Canadian Certified Playground Inspector training sessions during the Parks School Post Conference. ARPA members receive a discount on registration fees. This 2-day Practical Course and Exam is the second component to the two-part certification program. The prerequisite Theory Course can be taken online prior to attendance. If you know any, maintenance/public works personnel, daycare staff, health inspectors, owner/operators, private inspectors, contractors, manufacturers, installers, parks and recreation staff, and/or insurance agents who work - or support the use of quality playground equipment – in schools, municipalities, housing complexes, condominiums or other areas that contain public playground structures, let them know about this training opportunity. These professionals who are responsible for designing, selling, installing, maintaining and inspecting playground equipment have an incredibly important job. They are helping ensure the safety of toddlers, children and youth across this country and in local neighbourhoods. These dedicated people, and their employers - can be confident they have the most up-to-date theoretical and practical knowledge about playground safety when they complete the CPSI’s Playground Inspector Certification courses. To register for the online theory course and/or this practical course using CPSI’s online registration system, click here. For more details and to download a registration flyer, please click here to download. Why should you attend the inaugural ARPA Parks School? Use the following resources with your employer to advocate for your participation in Parks School. The resource gives ten reasons on why you should attend Parks School and guides you through developing a case from benefits of attendance to the finances. Why YOU Should Attend Parks School 2019? Inspired by the incredible diversity of parks, landscapes and open spaces in this country, Alberta Recreation and Parks Association (ARPA) created the Parks School to gather key partners, educators, students, thinkers, and decision makers to develop ideas and forge connections. This inaugural event is focused on providing professional development and training on the operations side of parks. It will provide an opportunity to keep parks practitioners and professionals current with new trends and industry issues, to connect them with other professionals, and local industry leaders. The school is split up into two days to maximize the targeted learning for those working in parks and grounds maintenance, and for horticulture practitioners and professionals. For our inaugural event, ARPA has partnered and sought after several continuing education credits/learning credits as well as certifications to provide our attendees. Program sessions have been identified with their respective continuing education/learning credits earning and can be collected through their identified association. Educational conference sessions can be counted towards the CPRA Parks and Recreation Professional Certification. Professional development through continuing education ensures that members are well equipped to meet professional obligations to clients, the public and the profession at large while remaining current with contemporary technology and industry practices. Members are required to accumulate an average of 10 Professional Development Units (PDUs) per year on a 3-year rolling average. Members must submit their logs in order to pay annual dues. The Practice Review Committee's CEP Sub-committee oversees the CEP - Terms of Reference. The current Continuing Education Schedule is available on the Members Downloads page. The Landscape Industry Certified designation demonstrates a high standard of excellence for the Landscape profession. This provides certified individuals with a valid way to communicate their professional status to their clients and employers. Individuals holding CNLA certification must recertify every two years. In order to renew your certificates, you must show that you have kept current in the industry by earning 24 continuing education units (CEUs). These credits are tracked by CNLA, and can be obtained through Parks School. The Landscape Industry Certified Technician program is designed for employees in the horticulture industry who are involved in the technical application of skill an knowledge. Landscape Industry Certified Technician is a national designation, with recognition across North America. It is an industry-developed program that sets and maintains standards for the landscape industry. three-year period and pay a recertification fee. Or, you can retake and pass the exam. CEUs can be earned through a variety of continuing education and training opportunities, including the inaugural ARPA Parks School. *Please have your ISA Certification number with you. The 2019 Parks School will take place in Olds, Alberta. You can reserve a room in the ARPA hotel block at the Pomeroy Inn & Suites. You can book online at pomeroyinnandsuites.com/hotels-olds-alberta or by phone at (403)-556-8815. Use the promo code "ARPA" at check out for a discounted rate. Inspired by the incredible diversity of parks, landscape and open spaces in this country, ARPA created Parks School to gather front line and mid-level staff to connect, learn, and develop their skills. This is the inaugural Parks School for ARPA! Stay tuned for further information in the coming weeks. Prices include all educational sessions, socials, and scheduled meals. Pre/Post conference sessions are not included in these fees. Please click on the images below to be taken to the micro site that hosts all session presentations. The coreesponding tabs represent Alberta Recreation and Park Association events. In each tab you will find a link to micro sites for each year where you can find and download session presentations. The follow tabs coresspond to recent Alberta Recreation and Park Events. These events have their presentations hosted on micro sites where you can download the presentations for your use. The 2018 Greener Facilities Conference & Expo will have a greater focus on municipal and NGO owned facilities including recreation multiplexes, ice/curling rinks, swimming pools, outdoor park facilities, community halls and agricultural centers, etc. The Conference and Expo will educate Alberta-based facility managers and municipal staff on new technologies and innovations, share best practices in the sector, as well as link programs to assist with funding, retrofits and energy efficiencies. Early Bird Rate ends October 31st, 2018. Use the Discount Code ABPartnerGFC to receive free registration. The YDRS Training Event will be provided in an online format and in person with a maximum of 20 seats available. YDRS is a forum for advancing the knowledge of the contribution of recreation programs and services. It aims to provide information about children and youth development by promoting the delivery and expansion of positive development through sport, recreation, physical activity, education and general health promotion. The event attracts delegates from municipal recreation, community service departments, not for profit groups, community sports groups, public health, educational institutions and social service organizations. 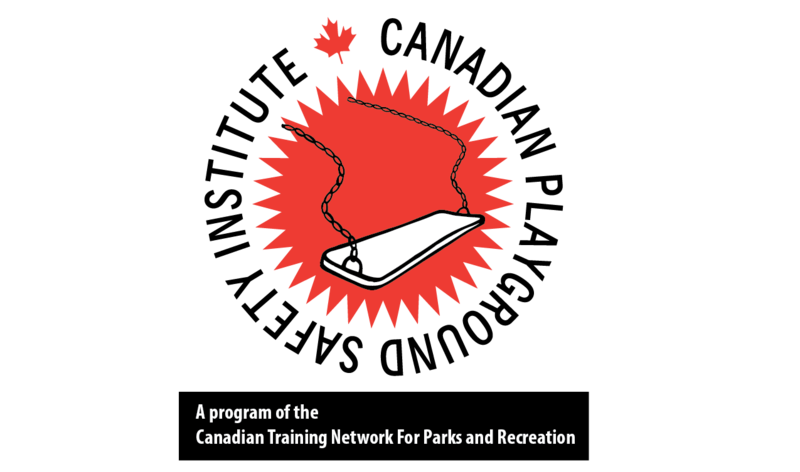 This training event is intended for coordinators, programmers, and supervisors and provides Canadian Parks & Recreation Association learning credits for participating in sessions. it is being offered both in person and by live stream. The 2018 Conference & Energize Workshop will be hosted at the Edmonton Inn & Conference Centre located at 11834 Kingsway NW, Edmonton. Reservations can be made by calling 1-888-747-4114 and mentioning the Greener Facilities Conference and Expo. The Greener Facilities Conference & Expo will prepare and educate Alberta based facility managers and municipal staff on new technologies and innovation, share best practices, link programs that modify occupant behaviour with infrastructure improvements, and address funding options to reduce greenhouse gas emissions in their facilities and/or outdoor spaces. Which businesses should consider exhibiting? Businesses that focus on green infrastructure, reducing greenhouse gas emissions, increasing efficiencies in buildings, and/or provide new technologies, products and services to create more environmentally friendly indoor and outdoor spaces and places. Expo exhibitors will meet potential customers face to face, network with other like-minded sector professionals and have the opportunity to apply to host an educational session. View the full Exhibitor & Sponsorship Prospectus! Contact Kate Wright at kwright@arpaonline.ca for more information and to book your booth. The Program Committee is opening up a second Call for Presentations for the ARPA Conference / ATRA Symposium. The online submissions for the second call will be open until Tuesday, April 30th. Submissions received in this second call will be reviewed in early May and used to fill any gaps identified from the initial call. Please click here to access the online Call for Presentations form. Since graduating from the University of Alberta in 1975 with a Bachelor’s degree in Physical Education Mr. Krischke has been a passionate supporter of recreation and parks. Greg has been involved in sport and recreation at a community, provincial, and national level. 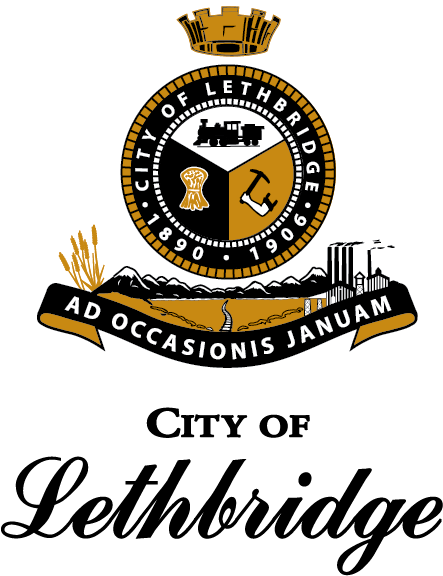 Starting in 1995 Greg served on Leduc City council for 22 years including the last 13 as Mayor. Since 2004 the City of Leduc doubled in size, built a 309,000 sq ft recreation facility, constructed more than 60 kms of multiway paths and hosted many provincial, national and international events. Greg has served on the boards of the Alberta Recreation and Parks Association (ARPA), the Recreation For Life Foundation (RFLF) and the ARPA Energize sub-committee. 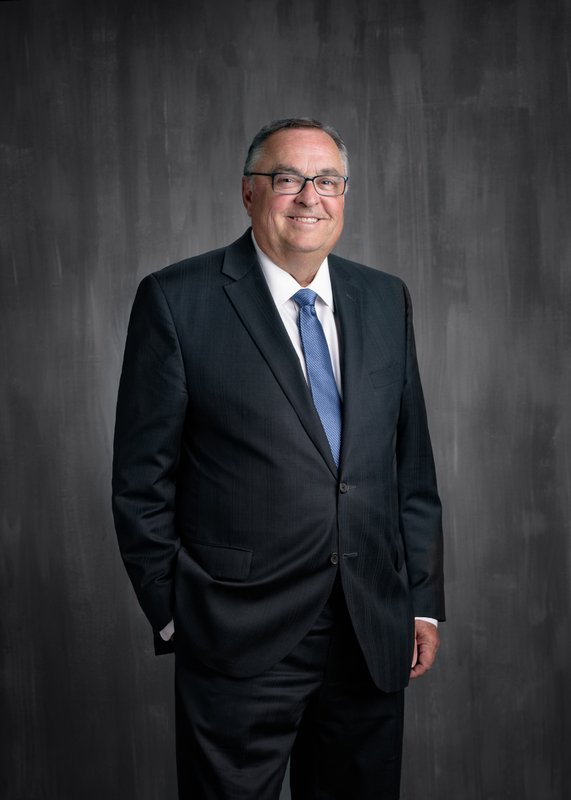 Among his several awards, Greg is most proud to have received the Lieutenant Governor’s inaugural Active Community, Elected Official award and in 2016 was named the Canadian Sport Tourism Champion of the year. Online Course Access to learning resources between April 1st and March 30 each year. In Your Community - Book now for fall and winter council sessions! Online Course - Book now for fall and winter online courses! Please contact ARPA (780-415-1745)(arpa@arpaonline.ca) to arrange for this governance course for your council. It is widely understood that a high quality of life is essential to the economic wellbeing of a community and a key aspect of quality of life within a municipality’s controls is their recreation and parks programs and services. The Alberta Recreation and Parks Association (ARPA), with the support and encouragement of the AUMA, RMA and the Government of Alberta, have developed a professional development workshop on Recreation and Parks in Alberta for elected officials. This workshop is complimentary to the Elected Officials Education Program of AUMA and RMA and provides a certificate upon successful completion. The workshop will provide Council members with an understanding of the national framework documents, Framework for Recreation in Canada 2015 - Pathways to Wellbeing and Parks for All - An action Plan for Canada’s Parks Community and Common Vision for Increasing Physical Activity and Reducing Sedentary Living as well as the linkages to the Municipal Government Act and other applicable legislation. A significant portion of the day will be devoted to exploring practical examples that you can implement in your community. Greg will travel to your community to deliver the workshop as an inservice for your council, senior managers and if you like neighbouring council members. Greg will deliver the course at the ARPA Conference and Energize Workshop on Thursday October 25th at the Fairmont Jasper Park Lodge. You can learn at your own pace through two online course options. Greg will available to answer questions via email in one of the options. Join us at the host hotel for the 2018 Parks Forum - the Coast Canmore Hotel and Conference Centre. You can book online or by phone 1-800-716-6199 and quote the group code CCM-GFC2990 or Alberta Recreation & Parks Association. *Rates do not include Tourism Levy (4%), or GST (5%). Additional persons per room may incur additional charges. Registration for the 2018 Parks Forum is now open. Join us from March 14-17, 2018 at the Coast Canmore Hotel and Conference Centre. 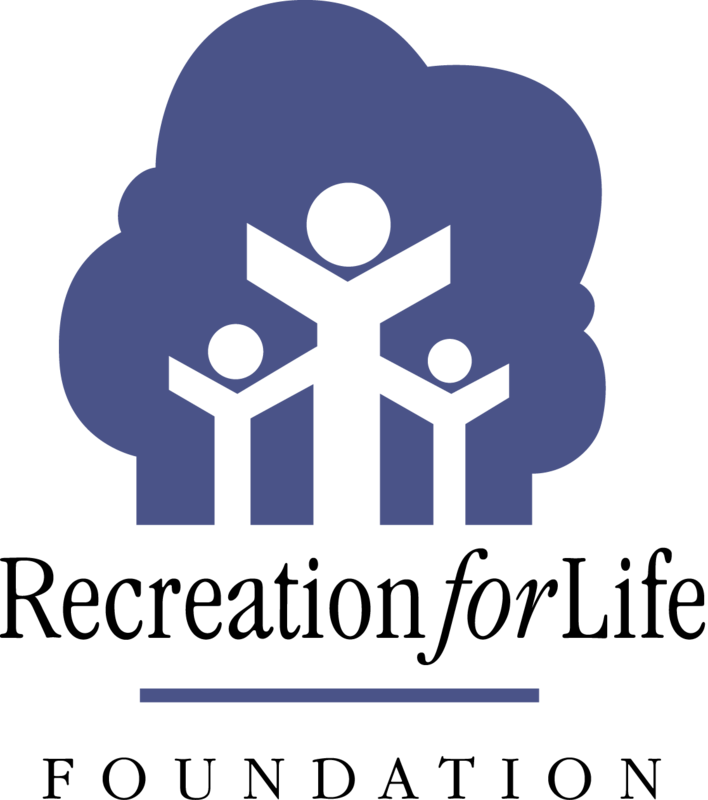 Click here to view the first draft of the Parks Forum Program. Register as a Sponsor Today! The event is designed for senior municipal leaders who advise their councils on recreation, parks, arts and culture, FCSS, community development and urban planning. The format will be based on the highly successful 2018 summit format. The summit is a series of workshops designed by individuals with specific expertise in an area related to the topics to be presented at the summit. All sessions will include plenty of time for questions, discussion, debate and networking with your peers. The 2019 ARPA Leaders Summit Program is now available for download! Early Bird Rate ends January 8th, 2019. Check back soon to discover what topics will be covered in this years ARPA Leaders' Summit! The 2019 ARPA Leaders Summit will be returning to the beautiful Delta Kananaskis Lodge. Enjoy the stunning scenery of the Rocky Mountains while engaging with your senior municipal recreation peers from across the province. To book your accommodations at the Kananaskis Mountain Lodge please call the hotel directly at 403-591-7711 and mention you are with the ARPA Leaders Summit. This past January we were excited to host the first-ever ARPA Leaders Summit at Delta Kananaskis Lodge. This coming January we are back in Kananaskis for the 2019 ARPA Leaders' Summit! Registration is now open under the registration tab. The 2019 ARPA Leaders Summit Program is now available! Book using our group rate. The Greener Facilities Conference & Expo will prepare and educate Alberta-based facility managers and municipal staff on new technologies and innovation, share best practices, link programs that modify occupant behavior with infrastructure improvements, and address funding options to reduce greenhouse gas emissions in their facilities and/or outdoor spaces. We've just released our full Conference Program with sessions, presenters and exhibitors! Join us at the Delta South Edmonton hotel. Registration is only $99 (10% discount available for ARPA members). Register by Monday, October 16 to be entered to win either a pair of Mini Pack Tickets to the Canadian Finals Rodeo in Edmonton (November 8-10) or the Professional Bull Riding event (November 8-10). Book your room at the Delta South Edmonton using our booking link and receive an additional entry for the ticket draw. Check out our Exhibitor Prospectus. Thank you to everyone who joined us last November in Edmonton for the first-ever Greener Facilities Conference & Expo! The event worked to help Albertans better understand and address climate change and the associated cost-savings. ARPA is excited to follow-up on the successes from the inaugural Greener Facilities Conference & Expo last November, which was supported by the Community Environment Action Grant program. The 2018 Greener Facilities Conference & Expo will be held on November 14th & 15th at the Edmonton Inn. Overall, the two-day event attracted over 120 delegates, speakers and exhibitors. You can now view and download the 2018 Greener Facilities Conference & Expo Program! Please join the CaGBC Alberta Chapter for a dinner on November 15th in Edmonton and a presentation and introduction to the CaGBC Investor Confidence Project (ICP) as well as an overview of the Zero Carbon Building Program. This presentation will also discuss how to accelerate retrofits in the Alberta marketplace. The buildings of the future will be zero carbon. Learn about the CaGBC's Zero Carbon Building Standard and how it aims to shift the discussion from 'energy efficiency' to 'carbon' as the new metric of performance. Zero Carbon represents the next cycle of innovation in green building, continuing Canada's global leadership in taking tangible steps towards reducing carbon emissions from buildings. 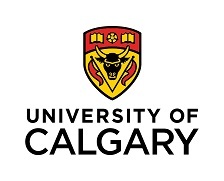 This presentation will feature Adam Stoker, Sustainability Consultant, University of Calgary. The Pan-Canadian Framework n Clean Growth and Climate Change highlighted how retrofitting existing buildings will play a key role in reaching Canada's emission reduction targets. To accelerate these retrofits, MaRS, with support from the Province of Ontario, is partnering with the CaGBC and GBCI to help bring an innovation quality assurance mechanism to the Canadian Market. This chapter event will be attended by design professionals within the Alberta green building industry including architects, engineers, project managers, property managers, and building owners. Educational sessions that addressed specific challenges associated with energy efficiency and reducing our ecological footprint. A trade show targeting cutting-edge technologies that would allow facilities to enhance and deliver on their environmental goals. Networking workshops and opportunities for sector professionals to share their best practices. Informational sessions on grants, funding cost-saving for organizations and municipalities. Catch up on the event! View 2017 conference presentations. The 2018 Greener Facilities Conference & Expo will have a greater focus on municipal and NGO owned facilities such as recreational multiplexes, ice/curling rinks, swimming pools, outdoor park facilities, community halls and agricultural centers, etc. The Conference and Expo will educate Alberta-based facility managers and municipal staff on new technologies and innovations, share best practices in the sector, as well as link programs to assist with retrofits and energy efficiencies. Finally, the sessions will offer learning opportunities on funding options for reducing greenhouse gas emissions in facilities and outdoor spaces. Who will attend this Conference? While this Conference targets the following listed below, we encourage sector professionals, volunteers and students from rural and urban regions to attend the 2018 Greener Facilities Conference & Expo. 2018 Greener Facilities Conference & Expo Theme: Celebrating Our Successes! This year’s Conference & Expo theme is "Celebrating Our Successes." with a special focus on case studies, renewable energies as well as facilities that are achieving green initiatives. Ultimately we aim to showcase successful collaborations and projects that will highlight practical tools for sector professionals. IN 2017, the June Play List were 30 hand-picked activities from the ParticipACTION 150 Play List to celebrate four Canada 150 themes! In week one it was diverse and inclusive activities, in week two we celebrated Indigenous games, in week three we tried activities that inspire youth and then finally time in nature! Check out "Background" below to read more about the themes. Check out ParticipACTION to see how the year went across the country with the 150 Play List. Make sure to visit ParticipACTION's website and search the daily challenge to learn more about the activity and the equipment you may need! We believe recreation and parks should be inclusive and accessible for all! This includes sports like sitting volleyball for those with limited accessibility, or tai chi and other activities originating outside of Canada. It’s important that all Canadians participate in recreation in a way that works for them. Reconciliation between our Indigenous and non-Indigenous peoples requires sustained public education, dialogue, and taking action! ARPA sees JRPM as one opportunity to foster this reconciliation by collectively engaging in traditional games and activities. Young people are essential to creating an active Canada for the future! Let’s try a few sports and activities alongside our youth, instilling the love of recreation in the next generation. We want Albertans to experience and enjoy the benefits of being outdoors, gaining a greater appreciation for the protection of our natural resources and environment. Registration for the 2017 Canadian Parks Conference is now open! Please note that prices include all education sessions, socials, and scheduled meals. Pre-Conference sessions are not included in these fees. Prices vary dependent on workshop or tour. Please see details in the conference brochure. Air Canada is the official airline of the 2017 Canadian Parks Conference! Please use the promotion code of VMHAQM31 to receive your flight discount of 10%. To book a flight with your promotion code, visit aircanada.com and enter your promotion code in the search panel. Canadian Parks Conference delegates receive a 15% discount on the Banff Airporter for shuttle service between the Calgary Airport and Banff. Visit www.banffairporter.com/book. Proceed through the reservation and type - parks - in the Promo Code section on the final payment page to receive the discount. Or call (888) 449-2901 and mention the parks promotional code. $125.00 per night based on single or double occupancy. Other room options are also available. Accommodation will include use of Sally Borden Recreation Centre and Aquatics, wireless internet access; Walter Philips Gallery access; complimentary access to select arts and culture events; housekeeping service fee; all North American phone calls; parking and library access with borrowing privileges. A shuttle will be available to and from the Banff Centre to Banff Caribou Lodge and Spa as well as Inns of Banff. Registration for the first-ever Alberta Aquatics Forum is now open! Thank you to all of our delegates who made the first Alberta Aquatics Forum a success! Forum presentations are being compiled, and will be posted to the Leisure Information Network in the coming weeks. There are five $200 awards available as part of the YDRS Symposium Registration Bursary. Please note that these awards are reserved for post-secondary students or new professionals. Deadline for application is January 30, 2018. A student is an ARPA member* who is currently enrolled in a post-secondary degree or diploma in a related field. *If you work for a municipality in Alberta, please check with your supervisor to verify that you are an ARPA member. If you are unsure whether or not you are an ARPA member, contact our office at 780-415-1745 to confirm. If you have questions about this application please contact Pamela Jones. Are you a student looking to attend conference? Join us at beautiful Chateau Lake Louise and learn from sector professionals while connecting with your peers across the province! Need help getting there? 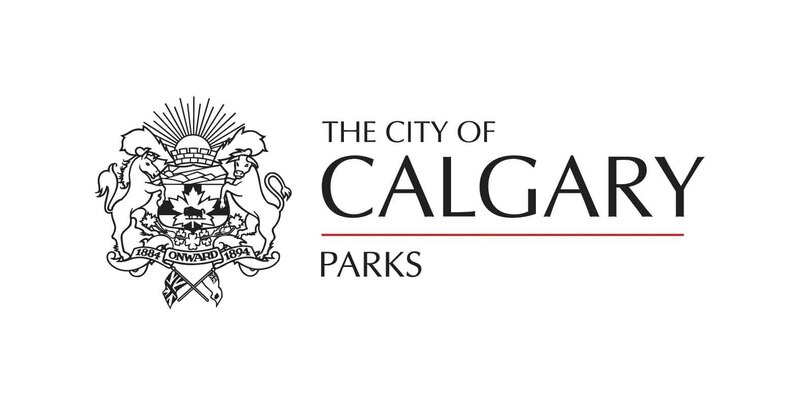 The City of Calgary Recreation generously offers a limited number of $200 bursaries to students. If you have any questions, please contact Karina Damgaard at 403-268-5602. Please note, deadline has been extended to October 18, 2017. There are three $300 awards available as part of the Connecting through Research Travel Bursaries. Deadline for application is October 6, 2017. Please note that these awards are reserved for post-secondary students or new professionals who are accepted for an oral or poster presentation as part of the CTR stream at the ARPA conference. If you have any questions about this application please contact Craig Cameron. There are five $200 bursaries available to assist graduate students in attending the ARPA Annual Conference and Energize Workshop. Please note that these awards are reserved for individuals that meet the following definition: You are an ARPA member who is currently enrolled in a graduate degree in a related field. If you have questions about this application please contact Craig Cameron. Let’s face it, most of us we spend a lot of time at our desk from Monday to Friday, and it’s not always easy to find the time or energy to fit activity into our schedules. But building basic daily, weekly and monthly habits into your work life can help decrease health risks and increase your energy and productivity! Download and print the checklist and challenge your co-workers to keep up with the tasks for all of June! JRPM Hunt is an online scavenger hunt! Follow ARPA on Twitter and Facebook to take part! Every Tuesday and Thursday in June we will post a question or challenge. You must complete the challenge by posting your response on Twitter or Facebook with the hashtag #JRPMhunt by each Friday at noon. If you respond to the challenge you'll be entered to win a weekly prize - a $50 MEC gift card! Weekly winners will be announced every Friday in June. Use the promo PDF or PNG image file to share the social media challenge with your community. We all get stuck thinking inside the box – when someone says recreation we picture sports or a nature walk – you know, the usual. What if we said recreation was going to a local improv show or having a water fight? How about bird-watching or learning to knit? We think recreation is so much more than physical activity! Recreation has a wide definition, and all parts are essential to creating thriving communities with healthy and happy citizens. We’ve developed a calendar to help you try Creative Recreation. Try one, two or all 30 of our daily challenges! Take a photo of you trying one of the activities and post them on Twitter, Facebook or Instagram with the #JRPM2016 hashtag to be entered to win a 2016 National Parks Family Pass. Make sure to tag @arpaonline on Twitter and Instagram, or tag us on Facebook! The more photos of the different activities you send, the more times you’ll be entered! The YDRS Symposium is a forum for advancing knowledge about the contributions of recreation programs and services to the overall goal of meeting the needs of children and youth in our communities. The YDRS Symposium aims to provide information about children and youth development, promoting the delivery and expansion of positive development through sport, recreation, physical activity, education and general health promotion. Alberta Recreation and Parks Association (ARPA), along with the 2018 YDRS planning committee, is now accepting applications for presentations at the 2018 YDRS Symposium. This annual event attracts delegates from municipal recreation and community services departments, not-for-profit groups, community sport groups, the public health sector, educational institutions and social service organizations. The committee is looking for a variety of engaging presentations and whether you have a lecture, interactive session or physical activity we want to hear from you. We hope you submit a presentation to share your knowledge and passion with our audience! Deadline for Submissions is Dec 1, 2017. Presenters will be contacted within four to six weeks of the submission deadline regarding the status of the proposed presentation. Thank you in advance for your contributions to the 2018 YDRS Symposium. Thank you to all presenters, delegates and dignitaries from Canada's parks community for joining us in beautiful Banff! Read a summary of the conference and view photos by clicking here. You may view conference presentations on the Leisure Information Network by clicking here. More information available on the offical Canadian Parks Summit website hosted by the Leisure Information Network. This first event of its kind, The 2016 Canadian Parks Summit will bring together representatives of Canada’s three levels of government responsible for national, provincial/ territorial and municipal/regional parks, and relevant national, provincial, and territorial associations, as well as other invited stakeholders collectively representing broad interests across the nature continuum. 2) Enhance the impact of parks services at the national, provincial, territorial, and municipal levels, and connect more Canadians to nature. 3) Help set the park management agenda in Canada for the next generation. 5) Identify priority actions and define a charter document to guide park managers far into the future. The Summit is an initiative of the Canadian Parks Council (CPC) and the Canadian Parks and Recreation Association (CPRA), as well as other stakeholders. The event is being organized by a Secretariat made up of representatives from the Canadian Parks Council, CPRA, Alberta Parks, the University of Alberta and the Alberta Recreation and Parks Association (ARPA), with input from a National Advisory Committee, which is meant to be multi-sectoral, intergenerational and regionally representative. The 2018 YDRS Symposium was held on March 7-8 at the Radisson Hotel in Red Deer. Below are some of the presentations and documents shared at the symposium, available for download in PDF format. The 2014 Youth Development Through Recreation Symposium took place March 23-25 at The Delta Lodge at Kananaskis, Alberta. Below are some of the presentations shared at the symposium, available for download in PDF format. The 2010 Youth Development Through Recreation Symposium took place March 15-17, 2010 at The Banff Centre in Banff, Alberta. Below are some of the presentations and resources shared at the symposium, available for download in PDF format. We are excited to announce that the 2018 YDRS Symposium will be held from March 7-8 at the Radisson Hotel in Red Deer. This year's conference theme is "Healthy Child and Youth Development." Check out our On-Site Guide for details. Want to know more? Join our list to be the first to hear the latest YDRS news. The Youth Development Through Recreation Services (YDRS) Symposium is a bi-annual forum for advancing the knowledge about the contributions of recreation programs and services. It aims to provide information about children and youth development by promoting the delivery and expansion of positive development through sport, recreation, physical activity, education and general health promotion. The YDRS Symposium attracts delegates from municipal recreation, community service departments, not for profit groups, community sports groups, public health, educational institutions and social service organizations. Presenters range from front line staff to youth policy makers. "Providing an educational forum to advance knowledge of youth development through recreation." The Symposium is based on the National Youth Development Symposium that was launched in Calgary in the spring of 2003. Promote your June events for free! Promote your June Events for FREE on our events calendar. To add in your events to the calendar, send your event with the title, date, time, location, and description, and cost of the event to JRPM@arpaonline.ca. JRPM helps Albertans celebrate our beautiful outdoors by getting active with their families, friends and communities! Does this sound like something you could get behind? We encourage municipalities, organizations, businesses and schools (aka YOU!) to support this campaign by becoming ambassadors and promoting JRPM! Access to JRPM logos, printable resources, etc. Connection with other JRPM Ambassadors across the province. You can promote this program through already-established events and programs in your community, and use our resources and challenges to support your ideas! 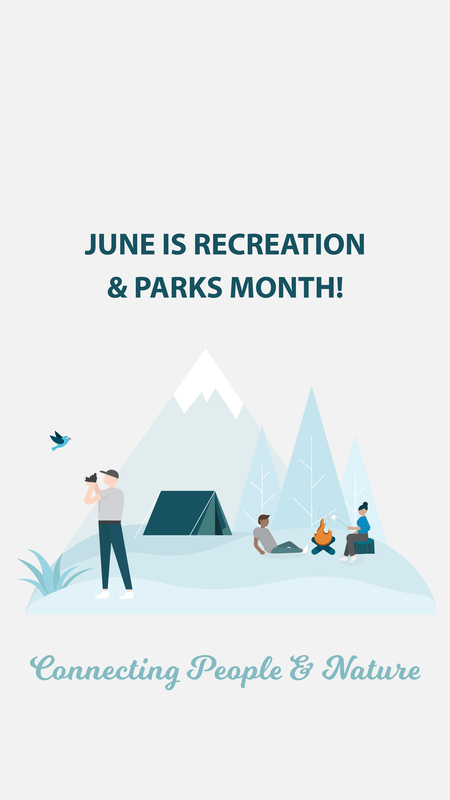 The Alberta Recreation and Parks Association (ARPA) recognizes the month of June as “June is Recreation and Parks Month” (JRPM). JRPM highlights the many benefits recreation and parks bring to our communities and acknowledges the strong foundation of parks and recreation facilities and programs in Alberta. Celebrating JRPM draws attention to the many benefits of recreation and parks for individual Albertans, communities and the province. 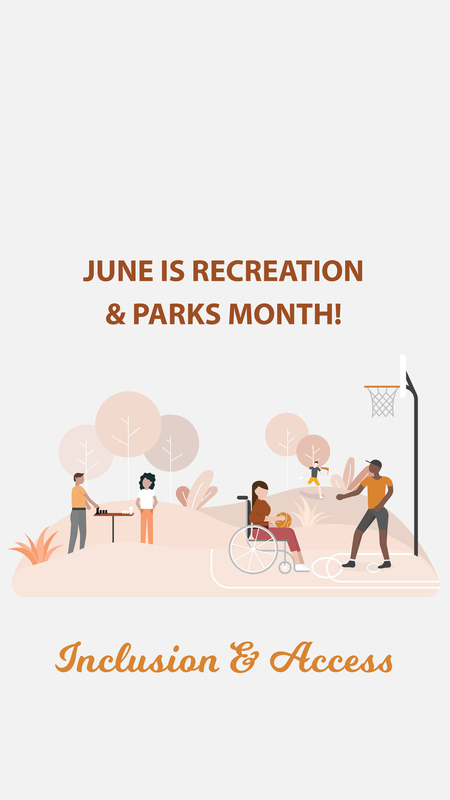 Our long-term vision is to make JRPM a household name, so that when June rolls around, Albertans are eager and excited to spend the month (and beyond) enjoying all the recreational activities and parks facilities they have at their disposal. JRPM is all about helping people celebrate the outdoors by getting outside and exploring recreation with their families, friends, schools, communities, and more! If you sign up as an ambassador/champion before May 15th 2019, you can receive a limited supply of 3'x3' JRPM logo stickers while supplies last. 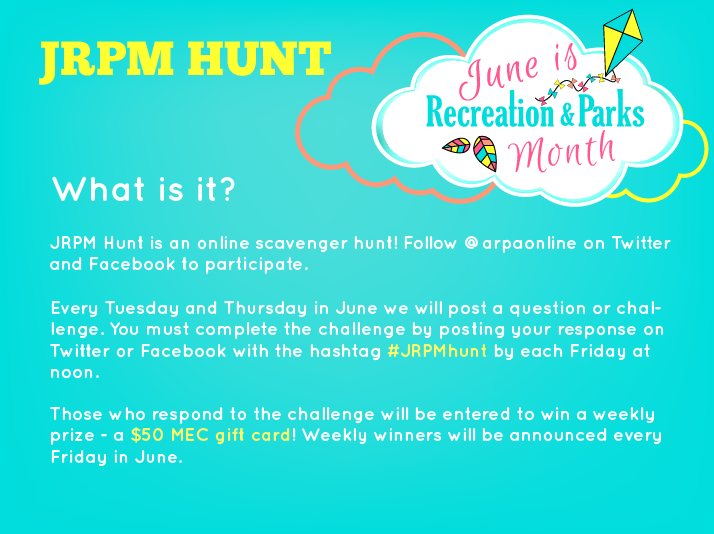 Use the hashtag #JRPM in a photo of you, your school, municipality, workplace, or group doing a June is Recreation and Parks Month activity! Ensure your account is public so we can see it and it doesn’t get missed. Did you know that June 21st is National Indigenous Peoples Day? This is the perfect day to celebrate Indigenous culture by either participating in activities in your community or by planning your own event. Check out this page to see how you can get involved! The Alberta Recreation and Parks Association organizes various annual and bi-annual recreation and parks events for its members and the sector as a whole. ARPA’s Annual Conference and Energize Workshop attracts a wide range of recreation and parks professionals, volunteers, post-secondary students, academics, businesses, and elected officials, offering workshops, keynote speakers, networking opportunities, tradeshow, awards banquet, ARPA’s annual general meeting, and whole lot of fun! JRPM is an opportunity to celebrate recreation and parks and their contributions to the quality of life of Albertans. IPA Canada, the City of Calgary, ARPA, and other partner organizations look forward to hosting the 2017 International Play Association Conference! The conference will bring together members from nearly 50 countries to exchange ideas and inspire action about play. The Youth Development through Recreation Services (YDRS) Symposium is a bi-annual forum advancing the knowledge of children and youth development through sport, recreation, physical activity, education and general health promotion. The Pan-Canadian Parks Conference built off of the momentum and outcomes of the 2016 Canadian Parks Summit, and included speakers and topics of interest on themes, opportunities and issues discussed at the Summit. This first event of its kind, The 2016 Canadian Parks Summit brought together representatives from Canada’s three levels of government responsible for national, provincial/territorial and municipal/regional parks, and relevant national, provincial, and territorial associations, as well as other invited stakeholders collectively representing broad interests across the nature continuum. Get up from your desk and take a 5 minute walk break! Do a lap around the office/classroom or climb the stairs to see the view from the top floor. Take six walk breaks a day and before you know it, you’re moving the recommended daily amount* for a healthy lifestyle! Need some help keeping track? Download the walk break tracking chart. *WHO recommends min. of 150 minutes of physical activity a week. Do you know how many parks there are in your community? Why not find out! Rediscover each and every one. Sit on the grass, look at the trees, walk the trails, roll down the hills, aren’t parks great? Send us a photo of you having fun in your favourite park to @arpaonline on Twitter or /arpaonline on Facebook with the hashtag #RediscoverParks for a chance to win an Annual Family Pass to Canada’s National Parks. Want to get outside and have fun but don’t know what to do? Try one, three, or all thirty of these great recreational activities! It’s never too late or early to have fun learning something new! The Alberta Recreation and Parks Association, in partnership with University of Alberta and Mount Royal University, are pleased to announce the third annual Connecting through Research stream as part of the ARPA annual conference. This unique conference setting brings together academic, graduate, undergraduate and practitioner- based researchers to share peer reviewed work. It is an opportunity to exchange knowledge, advance practices, policies and thinking in the field of recreation and parks, and broaden our professional networks. Proposals can include completed research projects, studies in progress, or conceptual ideas on a variety of topics within the recreation and parks field. Successful proposals will be delivered as engaging panels, interesting oral presentations (include time to engage in a short discussion with audience members), or interactive posters. Proposals that identify the applied or connective nature of research will be more successful. Call for Submission is open until June 5th, 2017. Submission Response: Updated by July 14th, 2017. A key aspect of the proposal included purpose, results, application or connection (for example: what are the implications of this study, how can the information presented be utilized by practitioners, what other research is needed, collaboration opportunities for researchers and practitioners) and methods. Please avoid any self-identifying references in the abstract. Formatted for printing on 8.5 by 11 inch paper. Follows the Chicago or American Psychological Association or American Sociological Association formatting style. ARPA is committed to supporting student involvement. Student rates, bursaries and room sharing options are available. Please contact Craig Cameron. Join us for this social gathering to visit with fellow park practitioners, connect with some Non-profit and government organizations and meet the next generation of park employees and researchers. NGO’s and governments have been invited to display their organizations, programs and innovations with Forum delegates. Back by popular demand - Students from Alberta colleges and universities have been invited to prepare posters that document innovations and trends in their fields of study. The Student Poster Session at the 2015 Parks Forum is intended to encourage stronger connections between practitioners and future employees, and to facilitate practitioners’ understanding of and connection to existing parks-related education programs within the province. Students will be keen to meet you and exchange ideas about park innovations and future career opportunities. Thank You to our Parks Forum Sponsors & Partners! For the first time ever, the Parks Forum will feature a Trade Show! Places are available for Bronze level sponsors and higher. The event will take place Thursday, March 12, 2015. If you're interested in Sponsorship opportunities click here. There is a block of rooms at the Coast Canmore Hotel and Conference Centre set aside for Parks Forum participants. You can book your room online or by phone 1 (800) 716-6199 and remember to quote the group code CCM-GFC553 or Alberta Recreation & Parks Association. Check out the 2015 Parks Forum Brochure and use the link or QR code below to register today! Tradeshow is now SOLD OUT. Contact Kate Wright at kwright@arpaonline.ca or 780-643-1774 to be placed on the wait list. Some sponsorship opportunities still available. Silver level and higher sponsors include a tradeshow booth in a premium sponsors area. If you would like additional information regarding sponsorship opportunities, please contact Kate Wright. IPA Canada, the City of Calgary, ARPA, and other partner organizations look forward to hosting the 2017 International Play Association Conference! View the official 2017 IPA Conference website! IPA is an international non-governmental organization founded in 1961 and provides a forum for exchange and action across disciplines and across sectors. IPA’s purpose is to protect, preserve and promote the child’s right to play as a fundamental human right. Learn more about the International Play Association at www.ipaworld.org and about the IPA Canada chapter at www.ipacanada.org. Registration for the 2017 ARPA Conference is now open! Join your recreation and parks peers from across the province in Lake Louise this fall. Keynote speakers include Jon Montgomery, the host of Amazing Race Canada, Corey Johnson, a researcher and professor, and Doug Griffiths, author of 13 Ways to Kill your Community. This year’s exciting line-up of social events includes a Round Dance with Treaty 7, the Recreation for Life Scavenger Hunt, an O’Canada themed Tradeshow and improv by Rapid Fire Theatre! Get ready to learn, connect and recreate in a beautiful setting! The room block at the Fairmont Chateau Lake Louise is now open. You can reserve your room today using the online process or by calling the Fairmont central reservations at 1-800-441-1414 and mentioning the ARPA Conference. Note: If you are an ATRA member/delegate there is a separate online booking link available specific to ATRA. Please email sallan@arpaonline.ca for this link. Room Rates start at $185 plus fees and taxes for Fairmont Room. Booking Policies - One night charge upon reservation and the entire stay will be charged 45 days prior to arrival. Only 1 room per delegate. If multiple rooms are required, we require the individuals name for that room. We reserve the right to cancel any duplicate reservations. We also have a block of rooms at the Lake Louise Inn and are planning on running a daily shuttle between the Fairmont Chateau Lake Louise and the Lake Louise Inn. This year will see the Alberta Recreation and Parks Association (ARPA) and the Alberta Therapeutic Recreation Association (ATRA) join together for the hosting of the 2019 ARPA Conference and Energize Workshop & 2019 ATRA Symposium. This Conference / Symposium will attract upwards of 600 delegates over 3 days of education, networking and connecting. Check out he On-Site Guide to see breakout sessions and keynote speakers!